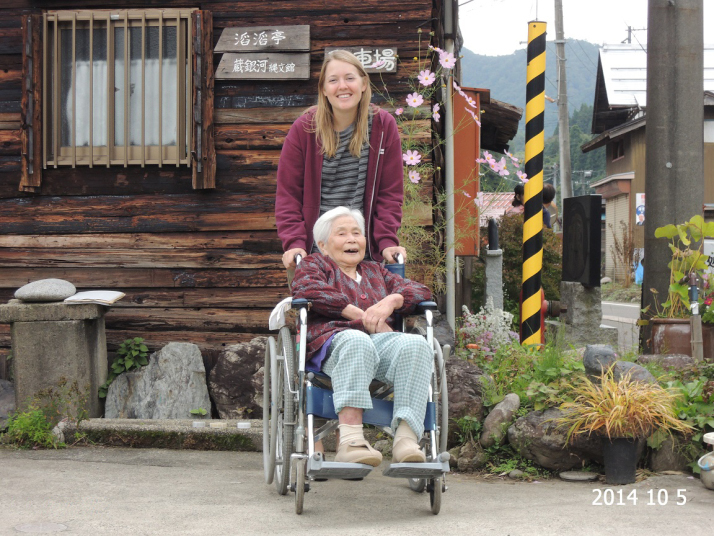 日本語が難しいから： I am so lucky to have met her. I will always remember her love and joy. I want to be kind and gentle like she was. けんたろうさん！！！！ あなたは英語が上手になりました！ 嬉しいね！ ：）勉強しますか？ 私はもっと勉強する必要があります。I am happy to read your message in English. You write very well in English!